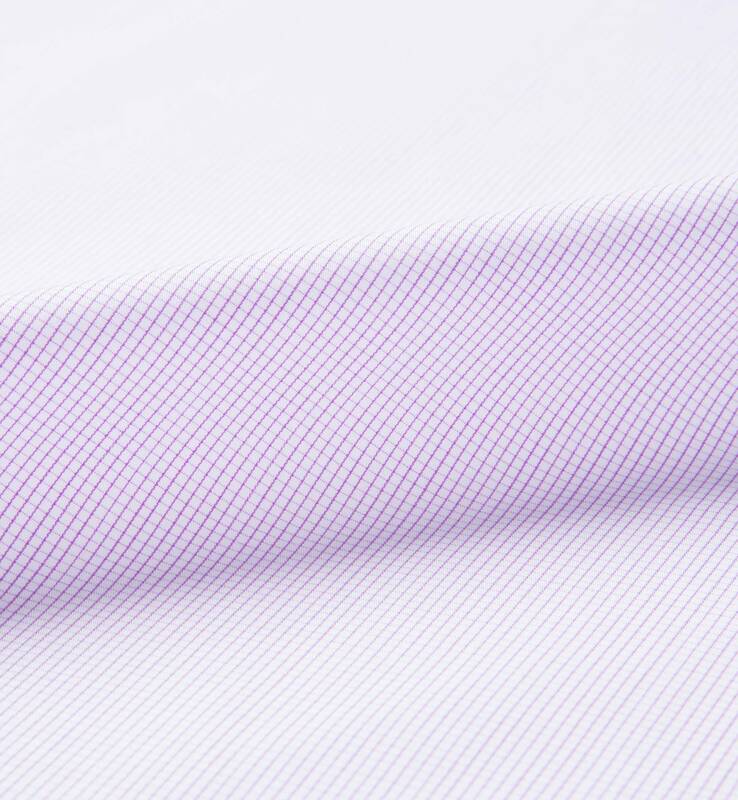 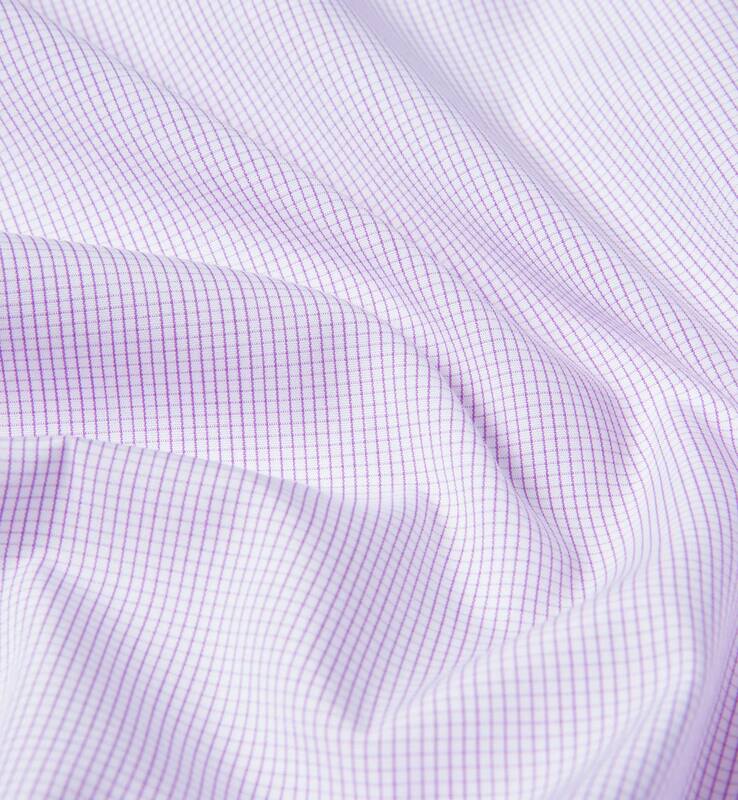 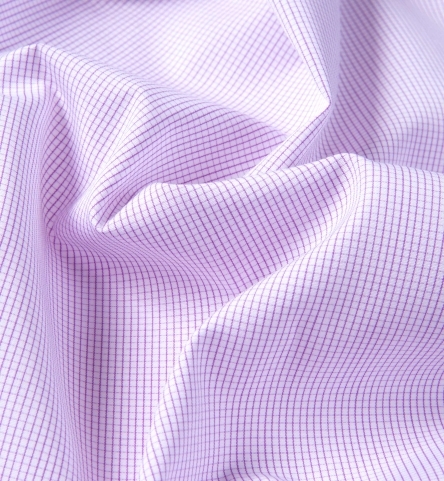 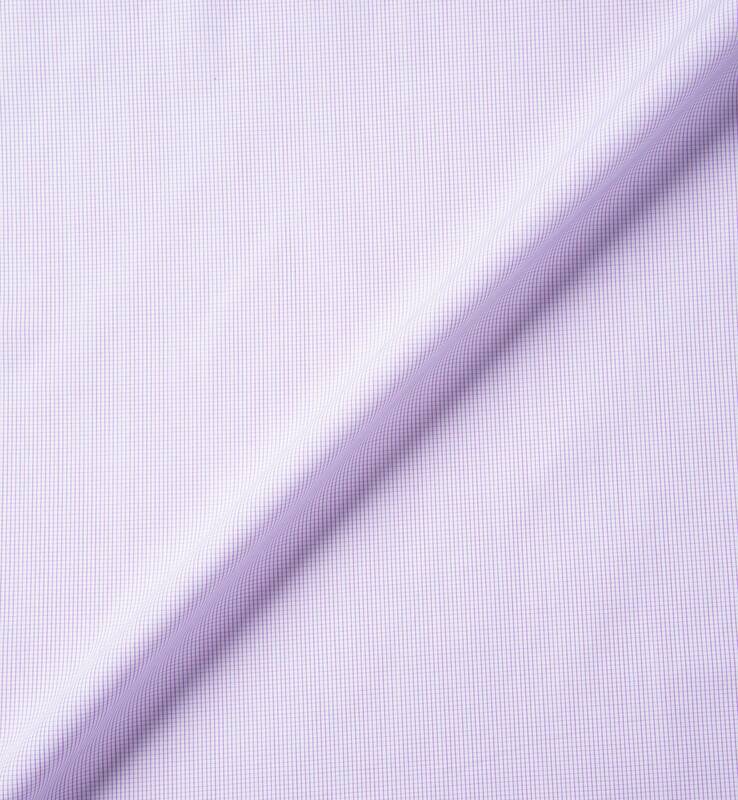 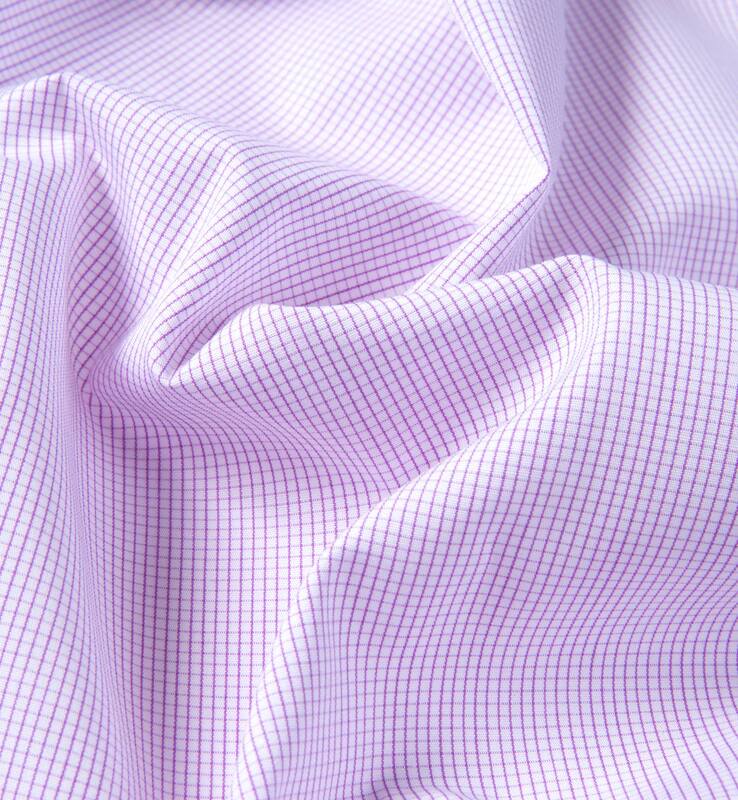 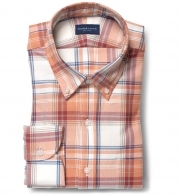 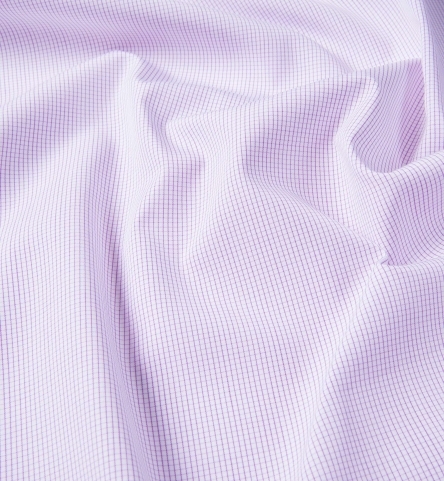 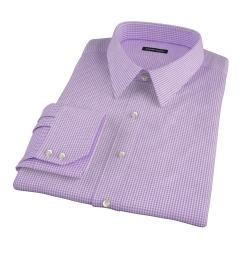 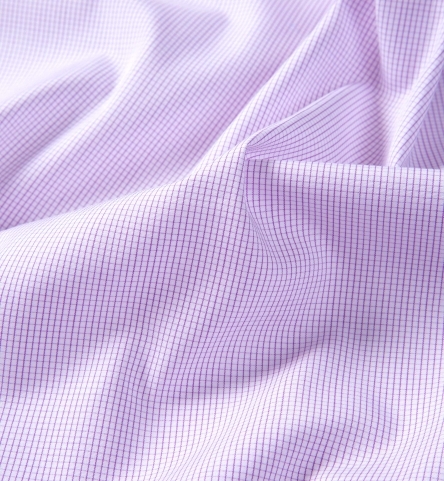 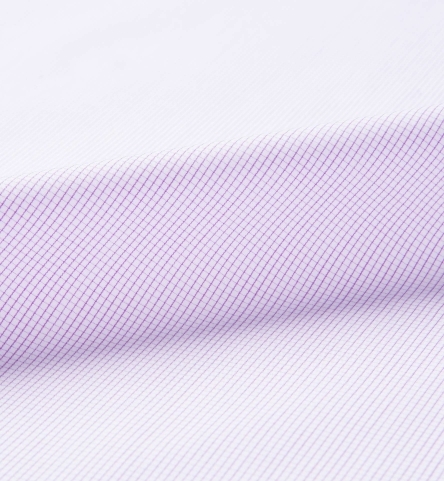 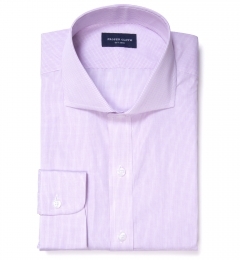 A light purple mini check is a great next step once you have your basic white and blue solids covered. 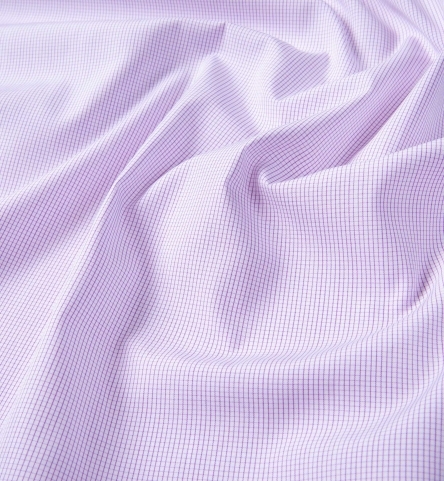 This one looks almost like a solid lavender until you get up close and the pattern becomes more visible. 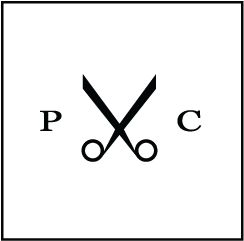 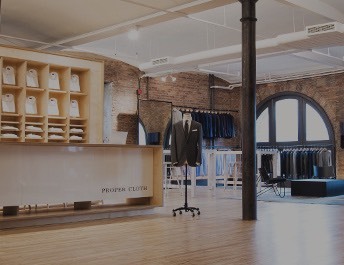 We really like this 60/1 x 60/1 compact broadcloth quality, as it feels really smooth to the touch yet has enough structure to look professional. 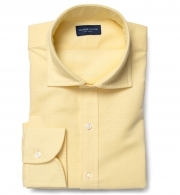 A great choice for our English Spread or President Spread collars.